How do Media Placements help with SEO? Media placements are another factor that influence SEO. Google places a higher value on websites that are mentioned in the news. For example, if your business is featured in the New York Post as the best law firm, Google’s algorithm will rightfully assume that your business has more credibility than a law firm that wasn’t mentioned. So in simple terms, the more media outlets that write about your business, the more credibility and higher ranking Google will provide. One of the biggest misnomers with SEO is that you need a back-link to benefit from a news story. That’s actually a major misconception. Google changed the game after they realized SEO firms were cheating the game and buying back-links. And several years ago, Google even filed a patent that allows it to rank sites without the use of a back-link. In simple terms, if a news site doesn’t include a back-link to your website, your business still benefits with the ranking. Do Press Releases help with SEO or Media Placements? Reporters and journalists are smart. They don’t want to read an advertisement. They are looking for the news editorial value, which is completely juxtaposed to content marketing. If you’re trying to get news coverage from a press release, you should be thinking of the news editorial value first. If you want to improve your search ranking with a press release, you do the opposite and prioritize the most important keywords. The best PR firms will leverage the news cycle by positioning the client into the news cycle – around an editorial angle, not a marketing angle. 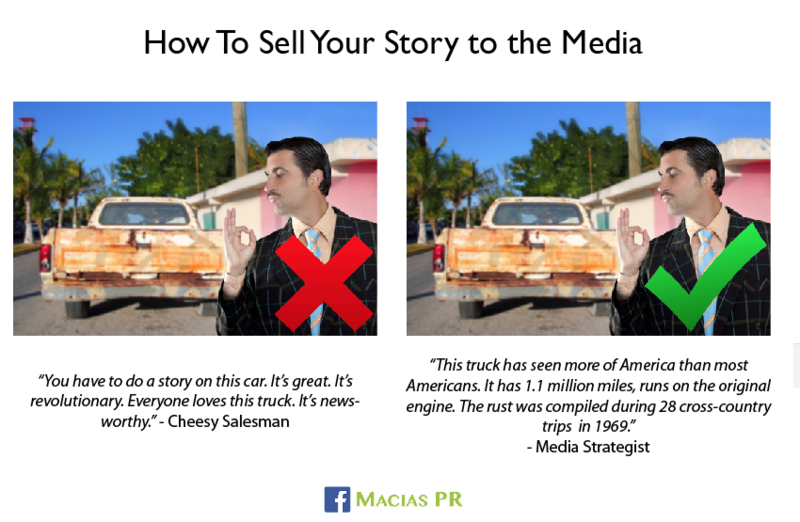 This is a crucial strategy that MACIAS PR applies to all of our campaigns. Of course, this is a very high-level view of SEO, but it does provide best practices to improving your search ranking out of the gate. There are of course other tactics, strategies and approaches that apply to both PR and SEO. Who is the best publicist in the world? For example, if you type into Google: “who is the best publicist in the world?” – you should see a description about about Mark Macias. Now that involves a tactic that is neither SEO nor PR. Want to see how we can apply these approaches to your business? Click on the green button at the bottom and message me. We can also give you a PR estimate if you click here. Marketing peers named MACIAS PR the 2017 and 2018 Strategic PR Firm of the Year. In 2015, 2016 and 2017, Finance Monthly named MACIAS PR the Financial PR Firm of the Year. The founder – Mark Macias – is a former Executive Producer with NBC and Senior Producer with CBS in New York. He’s also a frequent contributor with CNBC and author of the books, Beat the Press: Your Guide to Managing the Media and the Tao of PR. Google Chrome is about to add a new feature that allows consumers to block ads from their browsers. (Read WSJ article here) Last year, Google earned $60 billion in revenue from online advertising, so if the search engine is about to block ads from their browsers, it’s something we should pay attention to. Reaching your potential customers is about to get a lot harder if you rely on advertising. At the same time, PR is about to become more influential. Consumers already disregard commercials on TV. We walk out of the room when they come on TV without even realizing it. We are already immune to the message because we know it is paid advertising. PR Newswires – Does a Press Release Lead to Media Coverage? There is a misrepresentation that press releases will lead to a story in the local newspaper, or a segment on TV. I hear it all the time from potential clients. Here’s a closer look at how journalists, producers and reporters all view the different PR newswires. I’m basing this analysis on my experience inside the newsrooms of NBC, CBS, King World Productions, the Arizona Republic and KTVK in Phoenix. Many small businesses outsource their social media to PR or digital marketing agencies. Unfortunately, many of these business owners find out later that they don’t own the content that they paid for. It’s a horrible situation for any business to experience. You pay for something but get nothing in return when it’s over. Unfortunately, I’ve seen it all too many times with restaurants, bars and entrepreneurs who didn’t do their homework. Many new PR clients frequently want to spend days, or even weeks debating a campaign idea. They want to weigh the pros and cons of the angle before the media outreach begins. Yes, it’s crucial to ensure every editorial campaign meshes with your brand, but there comes a time when you need to get the story out there to see if it works. I quickly advise these clients on why our campaign will have more success by pushing the story to reporters and adapting the strategy and approach based on their feedback.